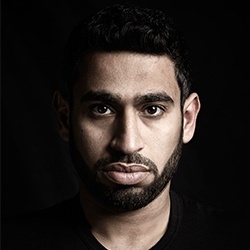 Mohammed Almokhem is a Saudi entrepreneur, founder, and CEO of CX Shift, based in Silicon Beach, Los Angeles. He has a rich experience in marketing, business design, innovation and entrepreneurship. Almokhem has two awards: 'Entrepreneurs Shaping Saudi Arabia’s Future' 2015 Award by Forbes, and 'CX Impact Award, Outstanding Provider' 2016 by Customer Experience Professional Association (CXPA).